Following publication of all the media from pharmaphorum’s first round table debate, on how oncology is shaping personalised healthcare, Paul Tunnah muses on what key lessons emerge from pharma companies engaging in this sort of communication. Well, it’s been six months of hard work, but by the beginning of October we had published all the materials from our first collaborative round table discussion project, working with AstraZeneca. • The full round table video interview. • Four shorter videos representing the chapters of the full round table. • Four individual video interviews with the participants. • Five teaser videos (for the full round table and each individual interview, published via AstraZeneca’s YouTube channel). • Four transcript articles from each of the individual video interviews. • A transcript white paper from the full round table. • An additional accompanying white paper exploring the relationship between patients and their oncologists. • A summary article of the full round table discussion. • The press release to accompany launch of the full piece. In total, that’s over 20 pieces of media coming out of one project….phew! It is reassuring to see that it seems to have been well received too, with well over 2,500 views so far of the different media. Personally, I have been very humbled by the support this project has already received from external partners in sharing too, including the Pharmaceutical Research and Manufacturers of America (PhRMA), the European Federation of Pharmaceutical Industries and Associations (EFPIA) and a multitude of other friends from across the healthcare spectrum – thank you all. The icing on the cake is to see this project, and the issues it raises, being showcased on the AstraZeneca global homepage (see below). • It must address a stimulating topic of interest, which is of critical importance to both the sponsor and the ‘viewers’ with whom engagement is sought. • It should reflect the views of numerous different stakeholders with respect to that topic, acting to curate opinions, rather than didactically present the view of one organisation. • Professional production and presentation in all media is essential to avoid detracting from the discussion itself. • Getting the right stakeholders round the table, who can provide uniquely different and interesting perspectives, is critical. • An interesting story must be told, which will always end up with some unanswered questions! • The thought leadership should be available to consume in different formats (e.g. audio, video, short, long). • Even with all the above, the right external support in promoting such media is vital for encouraging engagement. Of course, there are further things we could have done with this project, if time and space had permitted, such as infographics or perhaps including more patient advocate / carer perspectives, but all-in-all it has been tremendously rewarding to be involved in. For me, this kind of engagement is most definitely the future of pharma communications, as it not only delivers great insight directly in terms of the dialogue itself, but also shows a level of corporate commitment to a specific area that is bound to lead to further engagement with all healthcare stakeholders…and ultimately better medicines for patients. In my opinion, everyone therefore derives significant value when pharma facilitates such discussion. So thank you once again to AstraZeneca, for supporting this round table, to each of the participants for their fantastic contribution, and to all those who have helped us share the outputs. It is greatly appreciated and we will continue to do our part to drive visibility for some time. It has been a truly inspiring first round table to be involved in and I am sure it will not be our last. Until next month, do let me know what you think of this discussion, and stay well. 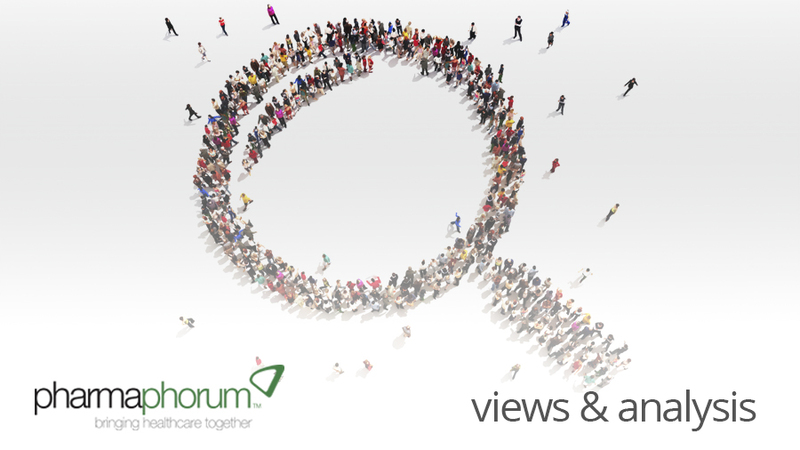 How can pharma stimulate more healthcare engagement?